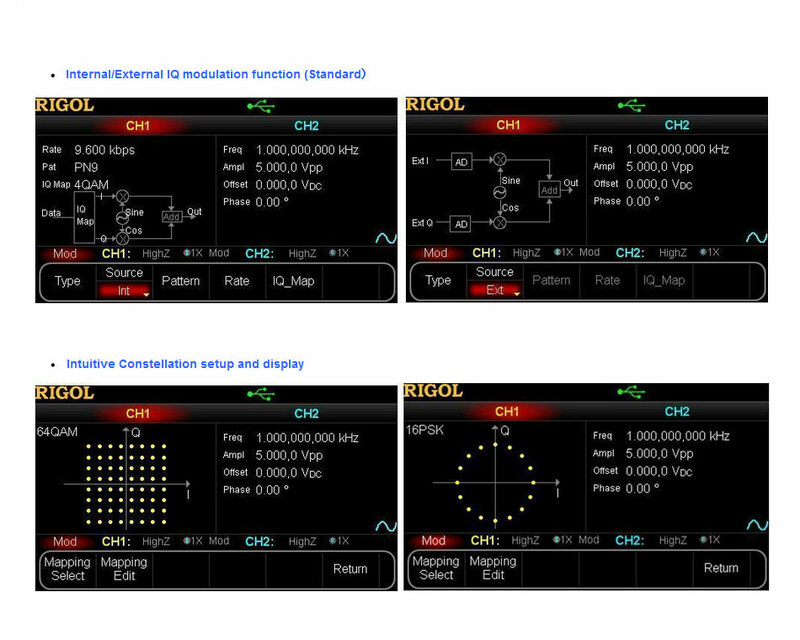 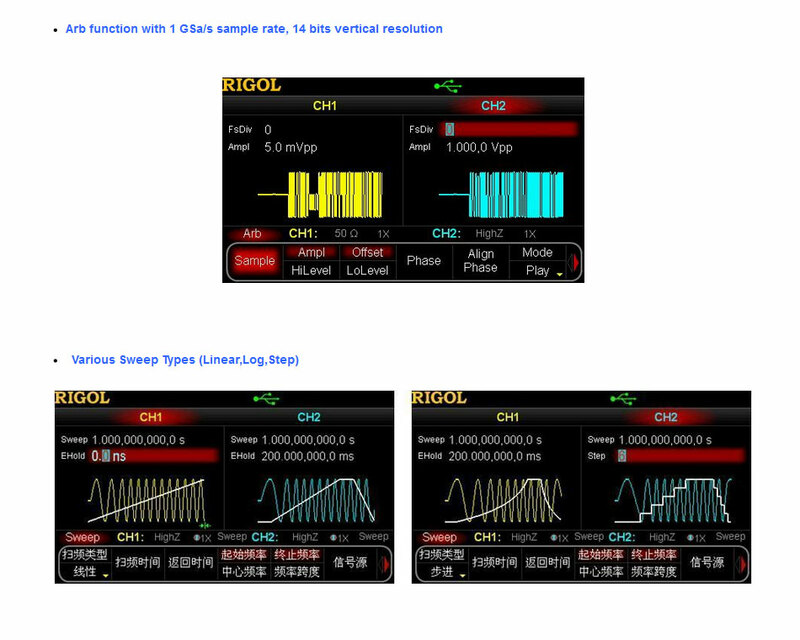 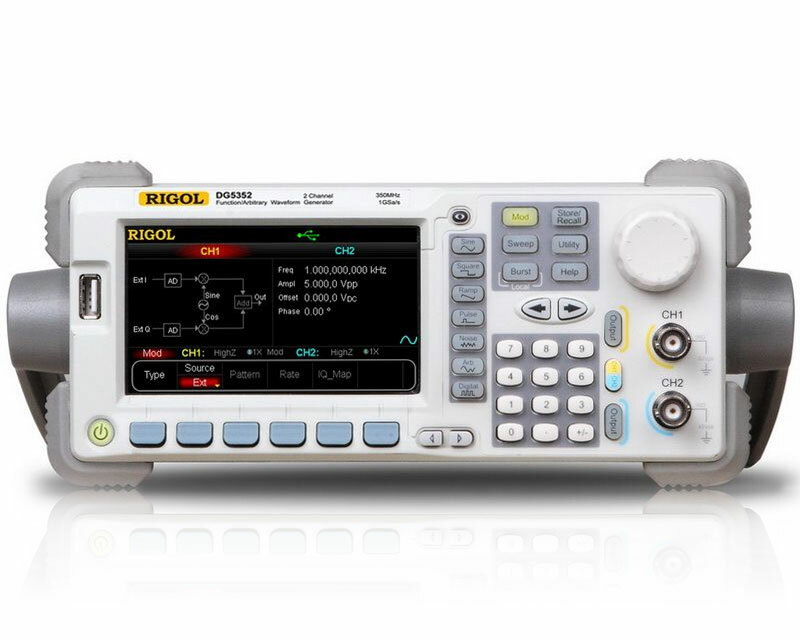 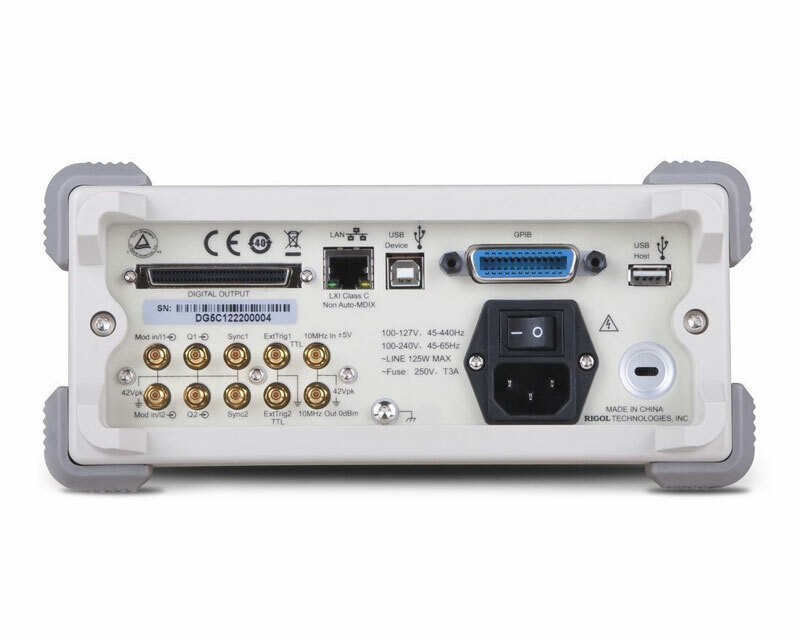 Rigol DG5352 is a multifunctional generator that combines many functions in one, including Function Generator, Arbitrary Waveform Generator, IQ Baseband Source/IQ IF Source, Frequency Hopping Source (optional) and Pattern Generator (optional). The model is dual-channel, with two channels having complete equivalent functions and precisely adjustable phase deviation between the two channels. 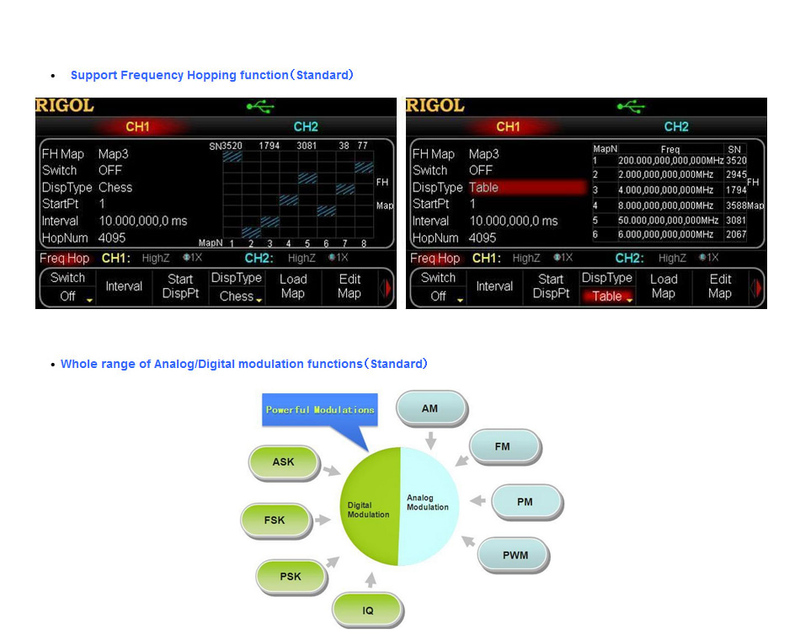 DG5352, adopting the Direct Digital Synthesizer (DDS) technology, can provide stable, precise, pure and low distortion signal.